An increasingly large number of quant traders focus on short-term price action anomaly detection for developing trading strategies. 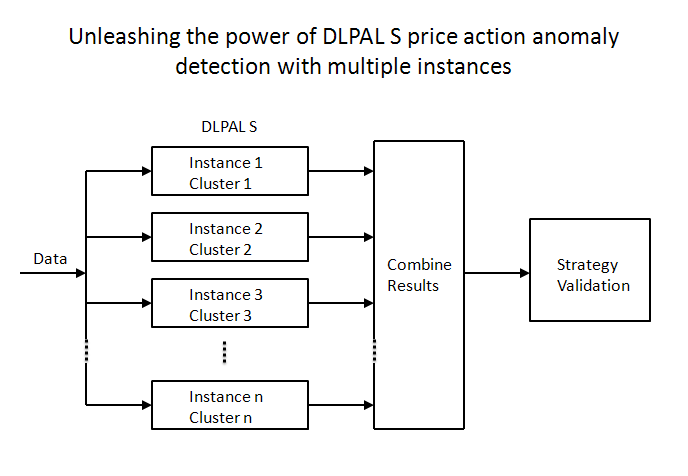 In this article we show how the power of DLPAL S in detecting price action anomalies is unleashed via the use of a combination of multiple instances and cluster partitions. Time is very important in trading strategy development. Quant traders desire to minimize the time it takes to develop and validate strategies so they can maximize process throughput and chances of identifying something that suits their needs while minimizing data-mining bias. 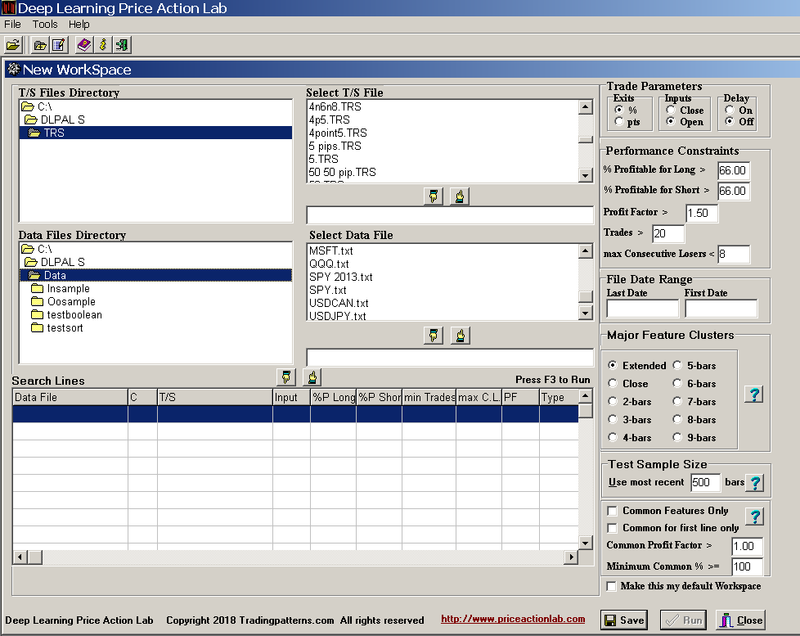 Development time is usually minimized through the use of fast CPUs and suitable implementations of the algos that perform price action anomaly identification. In this article we focus on the options users of DLPAL S software have along these lines. Unfortunately, some software vendors claim high speeds by compromising potential. This is easy to do and then claim that the software is fast. Instead, DLPAL S software maximizes potential and offers solutions to reduce development time. DLPAL S discovers automatically systematic trading strategies in any timeframe based on parameter-less price action anomalies. Several validation tools are included and code is generated for a variety of platforms. For more information click here. In the case of the Gold Add-on that increases significantly the capabilities of the program from 120 sub-clusters in the case of the Extended cluster to 616, there is a four partition option by default. In this case n = 4. In the above example, there is capability of 12 partitions of the Extended cluster and 28 of the Deep cluster. A search for anomalies on intraday data that would take normally about a month can be done in nearly one day. Time savings are significant. The multiple partition solutions allow unleashing the power of DLPAL S and realizing significant development time savings. For more details contact us. We can also provide customized solutions based on number of CPUs available. 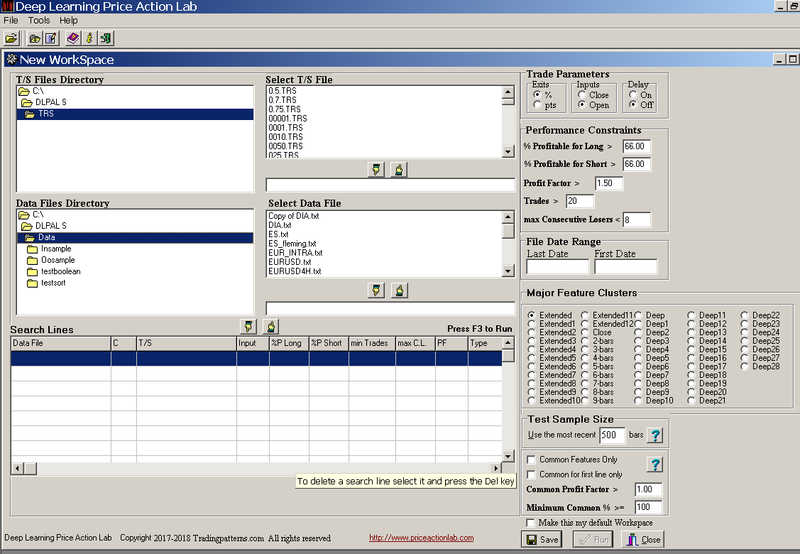 More articles about using DLPAL S can be found here. You can download a free demo of DLPAL S from this link.